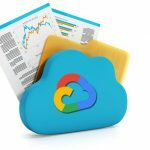 Google just announced the release of a new file storage option for GCP called Cloud Filestore. The solution consists of managed file storage for applications that require a file system interface as well as a shared file system. It offers a simple, integrated, and native experience that allows users to stand up fully managed network-attached storage (NAS) using their Google Compute Engine and Kubernetes Engine instances. Cloud Filestore will be available as a storage option in the GCP console and will be released into beta later this summer. Here’s some more information about the new offering. One of the main benefits of Cloud Filestore is that it gives organizations with a lot of rich unstructured content a place to keep it. This could be especially relevant to graphic design firms, those who work with video and image editing, and other companies that work with media. It can also be relevant for organizations that work with large files in shared storage like web designers and developers. Finally, Cloud Filestore can also be used for rendering jobs. These tasks normally run across fleets of compute machines that mount a shared file system. So this new service gives you a cloud option, rather than forcing you to manage with on-premises machines and files. Google is offering two pricing tiers, each with a different level of performance. The high-performance Premium option, which provides up to 700MBs and 30,000 IOPS for reads, costs $0.30 per GP per month. And the Standard option, which hits peak performance at 10TB and above, is $0.20 per GB per month in some regions, with some variance in others. Google is charging for provisioned capacity in order to keep billing simple and predictable. You can also resize on demand without downtime. There are also some additional fees for cross-zone egress networking.